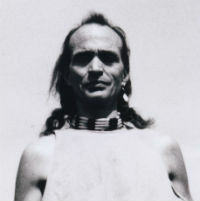 Daveed (David) Harp 3/14/1951-9/7/2015 Graduate of SBHS, Chumash descendant, Vietnam vet, healing arts practitioner, 12 year Sundancer, spoke Chumash, Lakota, Sanskrit, etc. He was brilliant, passionate, funny & creative. He sang, danced, composed, played multiple instruments sculpted, painted, made drums, sacred indigenous instruments & bead work, gardened and put his whole heart into whatever he did. Come celebrate Daveed on Sun. Oct 11, at 4:30, on East Beach across from the Bird Refuge. Drums & Food welcome.